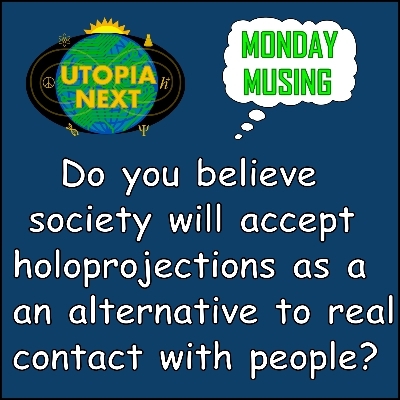 I'm sure that holoprojections will be a big factor in long-distance communication (when it's too far to visit in person) but I'm not sure it will always replace short-distance personal contact. I figure that when it's someone you don't want to make physical contact with it won't matter, but when you would... you're going to want to have that option. Still, I do wonder if society will change how it values real personal touch over time. Last edited by sunseeker25 on May 17th, 2018, 1:51 am, edited 2 times in total. Could you please stick to a single thread for your future tech discussions? This forum isn't big enough to warrant separate threads for every sub-subject. eishiya wrote: Could you please stick to a single thread for your future tech discussions? This forum isn't big enough to warrant separate threads for every sub-subject. Ok, I've removed the other post and generalized the topic in this thread. Hopefully this works out. 5-19-18 - Discussion on future tech and society - Saturday Sandbox! 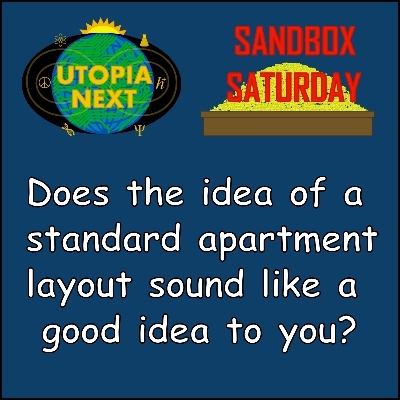 I personally feel that it would save a LOT of space if cities used a standard apartment layout. It would bring a better economy of scale for construction and plumbing, wiring, etc. parts, and probably make it easier to design effective furnishings too. I know a lot of apartment buildings are already built to a certain spec, but more improvements would be good. It also could make it easier to do repairs and such if professionals always knew where to go to get to pipes/wires, and maybe they would even use less pipes and wires if utility placements were optimized. 5-21-18 - Discussion on future tech and society - Monday Musing! Since food printers can customize nutrient needs to exactly what you need, I think they can really help people be healthier. The thing is, they don't HAVE to make healthy food; they would be perfectly capable of making unhealthy food too, and it would make it a lot more available than it would be now. However, on balance, I think people in general want to be healthy, and it's my impression that people think eating healthy is too difficult or too bland. 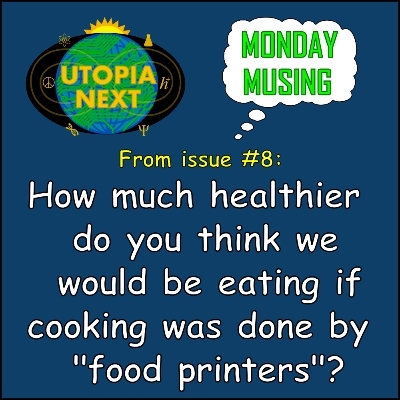 I believe food printers can solve both of those problems so they should be a net positive on public nutrition. You have to buy the ingredients first. It's not magic. Food doesn't get faxed to you or something. One of the biggest problems with healthy food is that it's more expensive than junk. Sometimes a lot more. I suspect the ingredients of healthy food (which probably wouldn't be as healthy as the food itself, because there are as yet poorly known synergistic effects that nutrients - or drugs for that matter - have when taken together) would be even more expensive because they need to be extracted and purified and converted to a form that can be printed. Then there's the issue of time. How long is this going to take? If printing an entire meal takes a lot longer than going to McDonald's then McDonald's will win because time is money. And from what I've read in the past few minutes this isn't food like we think it is. It's not like fruit and nuts and stuff, it's algae mixed with bug protein and goop that solidifies when you mix it with water. It doesn't matter how healthy it is I don't want to eat that. The major selling point seems to be the extreme novelty of being able to print elaborate sculptures made from "edible cement". It can be the most beautiful thing in the world, I don't want to eat something described as cement. If you're living in the Matrix and there's literally no other alternative then people will eat bacteria snot. In the real world they won't. NASA has been experimenting with cultivating blue-green algae (bacteria) for food in space and after 40 years or however long they've been working on the problem they still haven't figured out a way to not have it taste and look disgusting. Only see one health potential in printed food, that it would be quite easy to digest because of the probably very paste like structure. That is a theory now anyway, it will probably be dismissed for causing other serious problems later on. Either way, that is something those feeling like going for can do in a blender with any food already, it only takes like 30 seconds to make a nice banana pizza mango broccoli coffee drink. UrbanMysticDee wrote: Then there's the issue of time. How long is this going to take? If printing an entire meal takes a lot longer than going to McDonald's then McDonald's will win because time is money. Right now they seem to be about as fast as an ordinary 3D-printer, (because those are what is is used) so no expecting steaming hot plates anytime soon I guess. The less sci-fi potential for this is as a replacement for one time use plates https://www.stockholmdirekt.se/_internal/cimg!0/fg4ex4wjmsvxetppms98dcfoa92q78f.jpeg it could be a double environmental saving because no ned for recycles with transports and processings nor need for high energy consuming dish-washings. But that would be good for health for everyone really, so maybe food printers could have some health benefits after all. That's right. As the food printer market becomes mainstream, it's reasonable to expect that "ingredient cartriges" will be used, and can be neatly stacked in a cupboard (or refrigerator). Insert the right ones, select the recipe, and the food is made. I suspect the ingredients of healthy food would be even more expensive because they need to be extracted and purified and converted to a form that can be printed. Economy of scale is involved with this. Keep in mind that when food is processed right now, it's also extracted, purified and converted to a form that can be used. Healthy food tends to be more expensive as less of it is sold to the public (sadly) than processed food, which is partly because processed food has a much longer storage life (and also involves some cheaper ingredients, it's true). Food printer cartriges, once they become the standard, will go a LONG way to making an economy of scale for such, which will bring prices down and probably cut into what is currently processed food more than what is fresh food. And from what I've read in the past few minutes this isn't food like we think it is. It's not like fruit and nuts and stuff, it's algae mixed with bug protein and goop that solidifies when you mix it with water. It could be, but doesn't have to. It could easily be vegetables, meats, and dairy products like we currently know. All of these are very able to be converted into printable form, and I expect that form will be more and more palatable as the tech advances - it's what the market wants, after all. I'm with you on how they need to stop talking so much about ingredients people won't eat - it's not helping the cause. I think food printing needs another ten years or so to become properly mainstream, maybe a bit longer. The price of printer units also needs to come down by 80% or more. I'll be following it. The purpose is to create meals that would require a lot more effort to create by hand. This is useful because a lot of people won't engage in cooking due to the time and skill requirement and instead default to prepackaged food. This prepackaged food is usually more expensive and nutritionally poor. Food printers at the current time are little more than prototypes and are limited in function, but it is easy to see that they will be better in the near future. They've only really been talked about for around five years and are already having an impact on bread, chocolate and sugar confection foods. Food printers are also an effective way to get nutrient "bar food" prepared in countries where nutrition is currently a severe problem. I expect they will be more important there than in more developed countries for now. The purpose is to create meals that would require a lot more effort to create by hand. Wut? You still have to cook all the ingredients before you can mush them and squeeze it out of a "print cartridge". You only add the additional step of printing it. instead of eating it like it is. ??? sunseeker25 wrote: Food printers are also an effective way to get nutrient "bar food" prepared in countries where nutrition is currently a severe problem. ok sorry but this is nonsense ...do you know what field ration are? What you describe is an old hat. That whole food printing stuff has only the purpose to be fancy. You want food to be in a specific shape? Since hundreds of years are moulds and presses used and they worked till now. You want people to have a nutrient meal? Teach them to cook. A simple soup with tons of vegetables and a little meat has more nutrients than all those ready-made meals. You want to help poor people to have life-sustaining nutrients? Field rations for a starter and then food supplies ...then give them a leg-up so they can help themselves in the long run. I still don't see the purpose for printing food. Do you maybe have more examples for its usefulness? JoKeR, I think you misunderstand how food printing works, at least when the technology is mature. The end user buys the cartridges, put them in the printer, picks a recipe, and goes on to be productive with their time while the printer handles the squeezing and cooking, and the cartridge manufacturers handle the processing of fresh food into a form usable by printers. It's a massive time savings for the end user. Moulds are just part of home and factory cooking, they do not alleviate the problems solved by food printing. Food printing can allow some of the same results as those achieved with moulds, but that's just part of its flexibility, not itself a sole reason to use it. Field rations are a decent short-term solution for a nutrition-starved area, a good way to ship and store a lot of calories and basic nutrition. They're not good for long-term use (i.e. enough time for the location to recover and produce its own food, which can take decades due to poor governance), and they're not very flexible because they're mass-produced and as a result come in a fairly small variety of recipes. 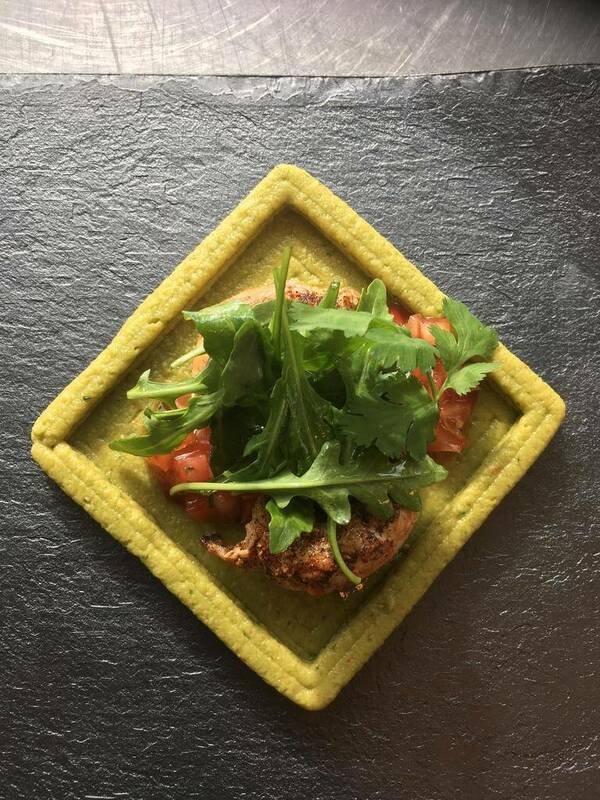 Food printing would allow the shipping and possibly some of the storage benefits of field rations since the individual ingredients are pre-packaged, but with the ability of individually-tuned recipes, and possibly better taste and appearance. Unlike mass-manufactured field rations, food printing would allow creating foods out of mass-produced packages that fit individual dietary needs, such as those of babies, the elderly, and so on. Because the ingredients are produced and shipped separately, this sort of food printing would also allow regional variations that best suit traditional local diets or local health concerns. Although I've "defended" the concept in this post, I personally don't think that food printing will be accessible to non-rich people within my lifetime. It's just too easily monetizable, and its convenience will give manufacturers an excuse to charge premiums. I just don't see it being affordable enough for use by the people who need it most. Perhaps one day, but that day is too far away for me to get excited about. In addition, even if printing is fast, many printers will be needed to feed e.g. a village, and that's even more expensive. The ingredient packets might see use as a convenient way to deliver specific nutrition where it's needed, but the printers themselves, perhaps not so much. eishiya wrote: JoKeR, I think you misunderstand how food printing works, at least when the technology is mature. The end user buys the cartridges, put them in the printer, picks a recipe, and goes on to be productive with their time while the printer handles the squeezing and cooking, and the cartridge manufacturers handle the processing of fresh food into a form usable by printers. It's a massive time savings for the end user. Where is the difference to a food delivery service? I mean, regarding time saving. eishiya wrote: Although I've "defended" the concept in this post, I personally don't think that food printing will be accessible to non-rich people within my lifetime. It's just too easily monetizable, and its convenience will give manufacturers an excuse to charge premiums. I just don't see it being affordable enough for use by the people who need it most. Perhaps one day, but that day is too far away for me to get excited about. They open the cartridge and eat the stuff inside. 1. Flexibility. You can input your own recipes and tweak existing ones when you use a food printer, but it's pretty tough to find a food delivery service that'll make anything you want rather than making you choose from a premade menu. In addition, you don't have to be home to accept the arriving food. You can set the printer to get cooking when you're still e.g. at work, and it'll be just cooling off right as you get home, which can be time savings. 2. In the long term (and if cartridge companies don't charge a ridiculous convenience premium), price. It's a higher start-up cost, but it also means no delivery fees for every meal. There are delivery fees to order the cartridges, but these are going to be cheaper since they're regular packages and don't need to be ordered as frequently as fresh meals. More likely they'd do some basic cooking with it, but yes, that's what I was saying.